Following President Trump’s warning North Korea over further provocations, the Hermit Kingdom has announced it is considering striking Guam. Recently, the U.S. test-fired ICBM Minuteman-3 at its Vandenberg Air Force Base in Califrnia State targeting the DPRK, the fourth one this year, openly staged an actual nuclear strike drill targeting the strategic objects of the DPRK by mobilizing its nuclear strategic bombers formation stationed at its Anderson Air Force Base on Guam in the Pacific. It is driving the regional situation to an extreme pitch by bringing various kinds of nuclear strategic hardware before the very eyes of the DPRK. The Strategic Force of the KPA has taken special note of such maneuvers. Supreme Commander of the revolutionary forces of the DPRK Kim Jong Un, estimating the nature of the military action taken by the U.S. forces in the Asia-Pacific region, once recommended examination of a powerful and effective action plan for containing the U.S. imperialists’ aggression hardware as the U.S. forces are resorting to inappropriate and reckless military actions in the sensitive area, while going on the rampage in the waters off the Korean peninsula and the Pacific waters. Will only the U.S. have option called “preventive war” as is claimed by it? 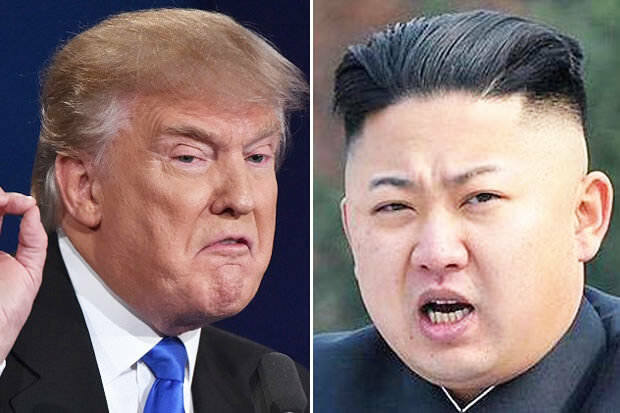 North Korea has made calculated gains in recent memory in regards to their nuclear ambitions with the recent estimate of their nuclear warheads sitting at 60, which is significantly more than was last thought, as the Gateway Pundit previously reported.